In a bleak, dystopian world, Corvo Attano has been wrongly accused of the Empress' murder, and now he must take revenge on those who have sullied his honour. 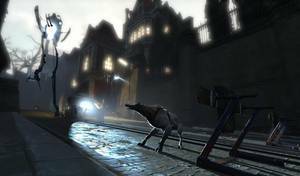 Dunwall is a city on the brink of collapse. A plague has decimated its lower classes and rendered entire neighbourhoods derelict, a blockade has killed its once-thriving whaling industry, and its beloved Empress has been murdered. Worse, men of cruelty and ambition – those responsible for her death – are vying for the role of ruler even as civilisation crumbles around them. Those who can afford what they are told is plague immunisation are fortifying their homes, and the army has been ordered in, dividing the fractured city further with large electrical fields and enforcing a curfew with shoot-first fervour. Many freedoms have been sacrificed in the name of security, but even that appears an illusion as entire districts crumble under the weight of their dead. Dunwall itself teeters atop a knife edge, poised to become another lesson of history, to go unheeded and repeated throughout the ages. Corvo Attano is Dunwall’s unlikely potential saviour. Once-bodyguard of the Empress, he was framed for her murder but sprung from prison by a small group opposing the city’s de facto rulers. With revenge on the mind, he possesses the gifts both human and supernatural to slow the rot. 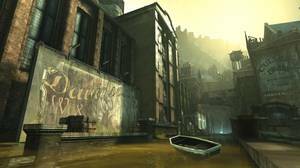 Dishonored’s sense of place is its greatest asset. The city is a varied but unified vision, squalor and opulence overrun by a totalitarian regime, fear permeating every alleyway. Propaganda crackles from speakers above tiled streets, and the grind of heavy industry cuts through the gloom. 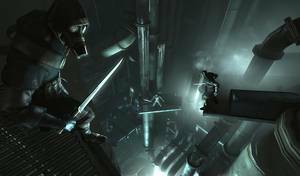 Indeed, Dishonored’s art, direction, and score come together in a rare way reminiscent of Half-Life or BioShock – an assured and mature distortion of something wholly familiar. Corvo’s base is The Hound Pits, a pub in an abandoned waterfront district, where a former Admiral and assorted hangers-on dole out quests, provide weapon upgrades, and fill in the backstory. The game’s missions are linear but wide, and like each obstacle that leads to their apex, may be negotiated a number of ways. Corvo packs a lethal arsenal, but brute force is but one path. That each assassination target will disappear at the conclusion of Corvo’s endeavour is an immutable truth; whether it is at his hand and how much innocent blood stains that hand is up to the player. A full-scale assault upon a mission’s opposing forces quickly draws reinforcements to Corvo and bolsters subsequent areas, and so presents a challenge as steep as the game’s stealthier options. However, with explosive crossbow bolts, grenades, flesh-shredding spring razors, pistols, and a razor-sharp sword available for use, the urge toward destruction is hard to resist. Enemies caught unaware may be dispatched with a single strike – steel through the neck or chest usually – but those who spot Corvo will draw blades as well as attention to his position, and attempt to line him up with pistols or rush in for some brutal swordplay. The mechanics for besting a rival in the latter are simple enough, yet tricky to execute with more than one opposing man to skewer. The press and hold of a single button deflects all sword attacks, but superior timing rather than constant covering will see an attacker momentarily thrown off-balance, and open for a swift counter. Should blade cross blade in the middle, a temporary stalemate occurs as both men fight for dominance. Enemies kick and punch in this scenario but Corvo cannot, so the use of a power or item is advised. In fact, aggressive AI who think nothing of shooting through their own men should it merely wound Corvo often make the use of his powers absolutely necessary. Swarms of rats, gusts of wind that send men backwards through wooden doors, and brutal instant-kills can all be unlocked and unleashed, however more dead brings more chaos to the city as a whole. That means more rats – a scourge who attack should their numbers be sufficient – as well as more Weepers – plague-ridden citizens who frequent the city’s dank sewers. Non-player character reactions to Corvo will also sour should his methods approach butchery, and a darker conclusion waits further down the line. Fortunately, a lighter touch is equally feasible. A pickpocket mechanic and the ability to choke enemies mean that no item need go unplundered, even if strangulation takes longer to quell a target’s resistance than a knife inserted parallel to the jawbone. Either way, bodies or parts thereof may be hidden in dumpsters, deposited in shadowy corners for the rats, or dissolved using special powers. This point is crucial as remaining undetected among patrols of guards is no easy feat, particularly on higher difficulty levels when guard awareness sees a substantial boost. However, Corvo’s unlockable teleportation, time bending, possession, and enemy detection abilities more than even the odds. Further, he may use rewire tools to reprogram forcefields, Tesla coils, turrets, and traps, or just pull out their explosive oil fuel cells and repurpose them as he sees fit. His arsenal is also bolstered by purchasable upgrades to weapons and powers, as well as the addition of passive abilities that grant small bonuses. He may also lean out of cover and yet remain undetected by those he is looking at, as well as drop down onto enemies from any height for a neat kill that also allows him to avoid falling damage. Despite all this, Corvo is relatively fragile. His mana regenerates about 25 percent in seconds (enough to teleport but not enough for sustained use of costlier powers) so he is reliant on tonics, food, and spiritual remedies to keep himself in good shape. The desire to explore levels for reasons above tourism – itself compelling enough when a game looks this good – are several. Powers and upgrades are unlocked by the collection of bone charms, runes, money, and blueprints, the first two of which are locatable by equipping a radar-like clockwork heart. A meshing of the city’s mechanical side with a touch of witchcraft, the heart provides a waypoint for these sought-after items, but getting to their location is often a puzzle in itself and with no map available, players must rely on their memory and problem-solving abilities. Exploration also uncovers side-quests, and they're often neat flourishes that flesh out the city. Ubiquitous books also perform a similar function, covering everything from fictional children’s nursery rhymes to paragraphs on whale vivisection. Useful mission information is gleaned by listening to the conversations of guards, or by infiltrating and upturning vacant offices. 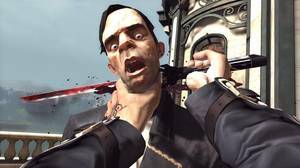 Considering the grand backdrop of its tale, Dishonored is remarkably focussed and personal. There are no massive setpieces, towering boss battles, or zoom-outs to larger spectacle. This is refreshing and plays in its favour, but those thirsting for a bold crescendo may walk away disappointed. It’s not without fault in other ways, too: the dialogue of patrolling guards is repetitive, there are the usual issues with platforming from a first-person perspective, and too much exposition is relayed in a staid fashion directly to Corvo-as-camera. It’s also a shame that the dialogue options present in one level are never revisited as they held great promise. But in most other respects this is an incredibly assured first-person adventure that grants a dozen hours of top-notch escapism in a brilliantly fleshed-out world, and practically demands an immediate replay so that all its delights may be sampled. 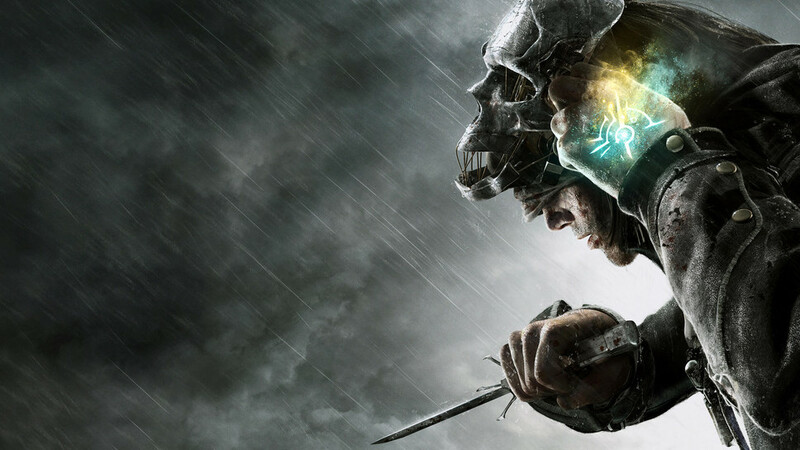 Featuring a rich, carefully-realised setting, and with design dedicated to player freedom, Arkane's Dishonored is comfortably one of the year's very best games. Ups A great story in an intriguing world. Amazing attention to detail. Excellent design all round. Downs Replayable, but probably only once. Some dull exposition delivery.